Warner Bros Animation/DC Entertainment is busy prepping "Batman: Escape From Arkham," but after that will come "Justice League: Throne of Atlantis." 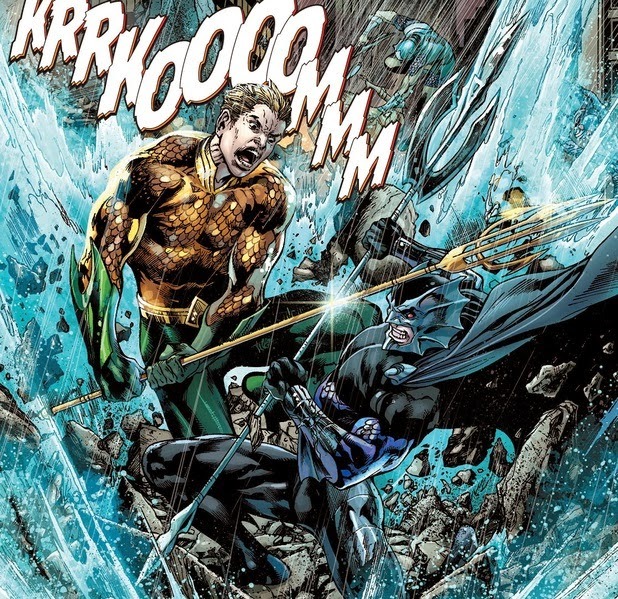 The film will be based upon a Aquaman/Justice League crossover, in which villain Ocean Master invades the surface world. Geoff Johns - who wrote the storyline - had previously indicated that an Aquaman animation was in the works, and this appears to be it. At the end of the recent Justice League: War film, Ocean Master was seen declaring that Atlantis would be going to war in the wake of the extraterrestrial villain Darkseid's invasion of Earth. Further details of Justice League: Throne of Atlantis most likely will be forthcoming at San Diego Comic-Con 2014.